In my last post, I gave an overview of BTCJam which is the world’s first and largest Bitcoin lending network. I have had an account with them for several months was given $50 worth of Bitcoin to test out the platform. Keep in mind that this only a trial and my investing returns may not be typical of other investors as I will point out below. BTCJam is still relatively new and certainly if you’re expecting a platform with all of the functionality and data that Prosper and Lending Club provide, you may be disappointed. With that being said, there have still been some major improvements (even in the past few weeks). One is the social dashboard as pictured below. Like the early days of both Lending Club and Prosper, BTCJam allows you to interact with both investors and borrowers on listings. They even post the leaderboards as shown on the right. Above, you will also see my negative annualized returns for both Bitcoin and BitstampUSD notes. There are several things after looking back that have accounted for less than ideal returns. One is of course diversification. BTCJam allows you to invest any amount in any loan. When I first started I invested about the equivalent of $1 per loan or .0016 BTC. With only $50, this means only 50 notes and as we know with other p2p lending investments, this simply isn’t enough. I also noticed a pattern with the notes where borrowers have failed to pay. Many of them have the below disclaimer. BTCJam allows borrowers to select their interest rate, but provide investors with the above warning if they deem the borrower more risky. Most of the notes offered on BTCJam are Bitcoin related. Borrowers are looking for funds to further get involved in the Bitcoin community. You can find loans for mining rigs, trading arbitrage among other investments for Bitcoin businesses. However, you will still find debt consolidation loans among many others. Like other companies, BTCJam lists their notes with grades ranging from A-E. The rating comes from many different sources as shown below. Other people can also give personal references for borrowers. BTCJam also offers you to trade notes. I actually was following one note where one buyer offered to buy up his notes for the amount you invested. This person was late on their payments and although I didn’t earn interest – it was better than losing my entire investment. Like I mentioned in my last post, borrowers can get loans strictly linked to Bitcoin or they can get it linked to US dollars (BitstampUSD). It is always a good idea for the borrower to borrow in the currency that they get paid in. Notes marked BitstampUSD will help prevent borrowers from major changes in the Bitcoin and USD exchange rates. So what’s my take on trying out BTCJam? 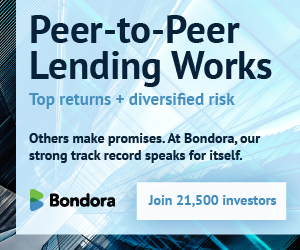 I think this is one of the most unique companies in this space and with the amount of loans they are currently underwriting, it’s important to be aware of them. They have the opportunity to help out people worldwide with a p2p lending model. I personally have been skeptical of Bitcoin from the start and I attempted to be un-bias in both posts to present the facts. Although the idea of a cyrptocurrency intrigues me, investing in Bitcoin or putting any significant amount of money in BTCJam is not something I’d be interested in at this point. I am waiting for BTCJam to provide more data and become a more established lender beyond Bitcoin community focused loans. At that time, I may consider another experiment with more funds to get a better picture of real returns. BTCJam however, is certainly a company I will be keeping an eye on in the future. As with all investments, you should consider your situation before investing. If you have any questions for or about BTCJam, please post them in the comments. Additionally, if you have borrowed or are an investor on BTCJam I’d love to hear your comments. Disclosure: I received $50 worth of Bitcoin to test out BTCJam which was offered to members of the LendAcademy Forum. No other compensation was provided to me. If you use my referral code and invest more than $100 with BTCJam, we will both receive $5. You should look more into Bitcoin. BTCJam offers loans locked to national currencies like USD, EUR, etc. so that bitcoin’s volatility doesn’t affect you. If you want to see BTCJam become more reputable though, that’s understandable.